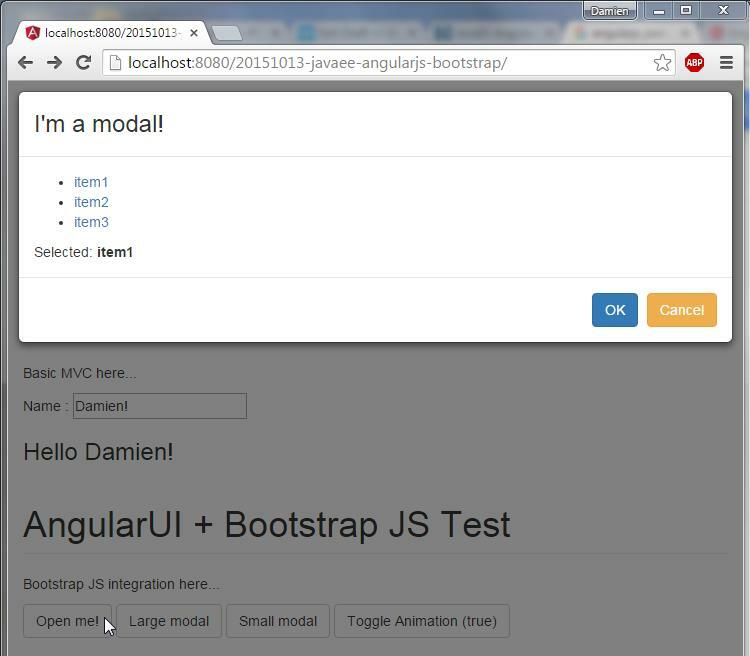 This tutorial is a basic integration of AngularJS, Bootstrap3, JavaEE JAX-RS, Maven and WebJars. Usefull for replacing your old JSF or GWT application from intranet. 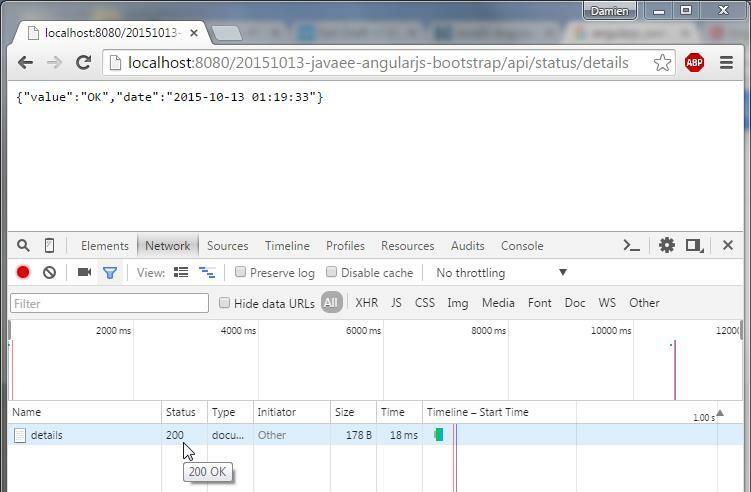 Because AngularJs is not a web framework anymore and tends to replace GWT in intranet web applications. 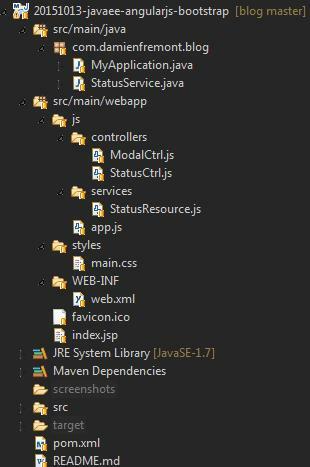 And because most of these team have a Java legacy, it’s sometimes more productive to build on top of a well known Java Server instead of jumping in a new system like NodeJs in addition to migrating to a new MVC framework (like from JSF to AngularJs). 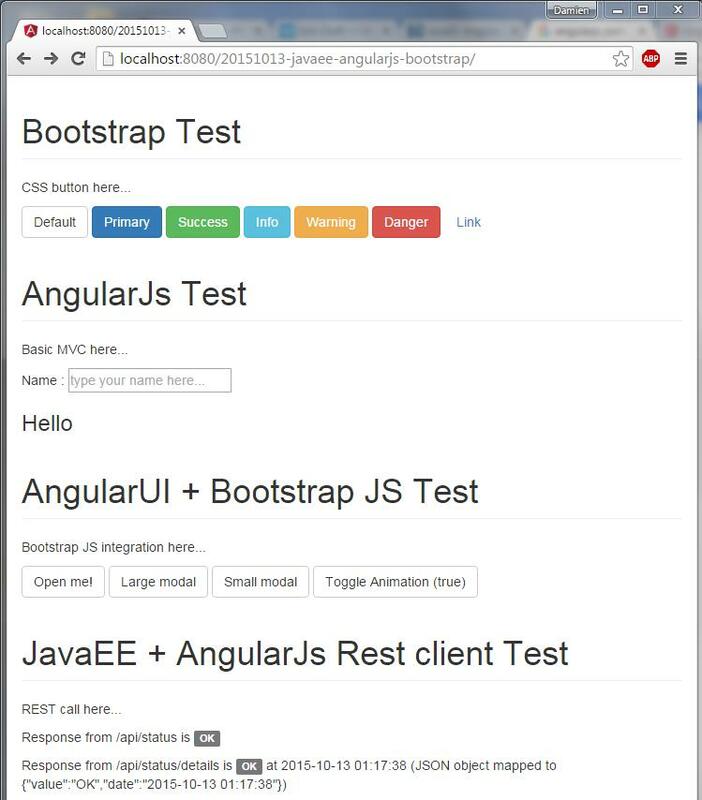 The main page test all frameworks. It’s a step by step approach. 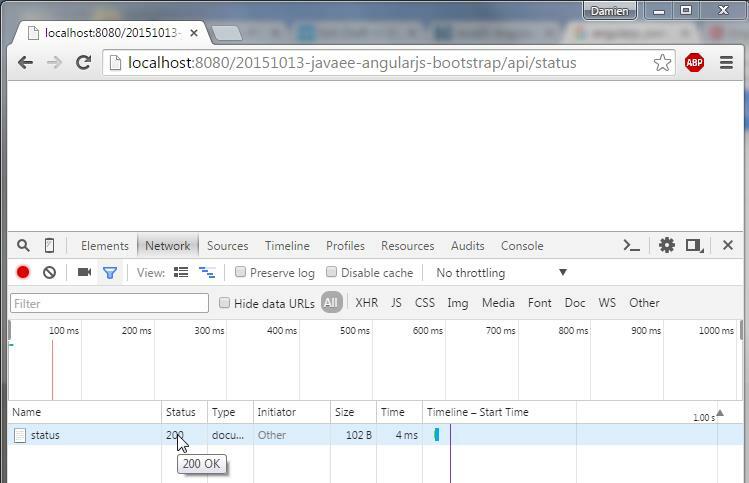 Maybe later you will have some NodeJS backend and a team full of webdeveloper.